I love coming to La Familia because it is as close to the Mexican food as I enjoy at home. I was craving it even more after our visit to Pulido's. I love the decoration inside the restaurant. From the outside it looks just like a strip mall but inside it is so beautiful! 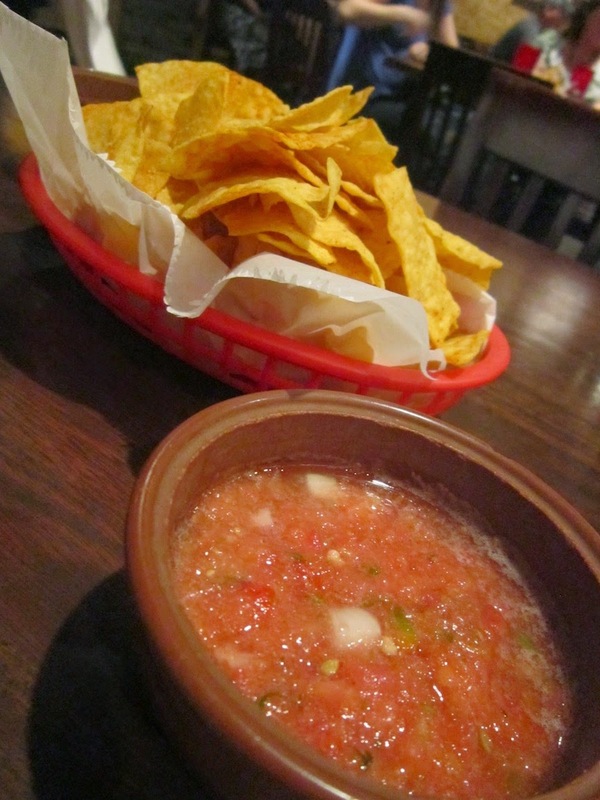 Chips and salsa are brought to the table and they are great. The chips are dusted with the right amount of salt and the salsa is flavorful without burning out the taste buds. 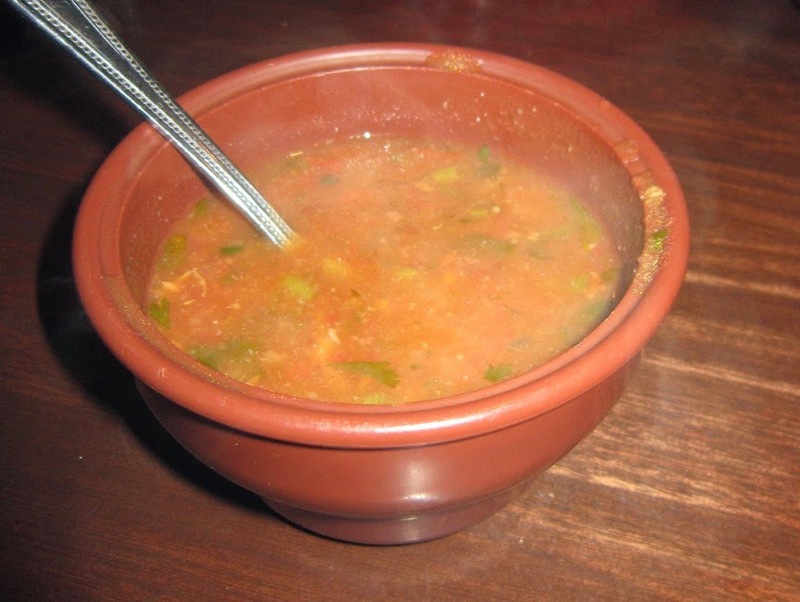 You are given a choice of Al's Cactus Bean Soup or Tina's Chicken Soup with your entrees... Always order the CACTUS BEAN! It is extremely flavorful. I have never had a bean soup quite as good as this! I will order a whole bowl next time! It was packed with cactus, cilantro, pinto beans, tomato, chile, garlic and a savory chicken broth. It just worked! Scott went for a Taco Salad with chicken fajita strips as his chosen protein. 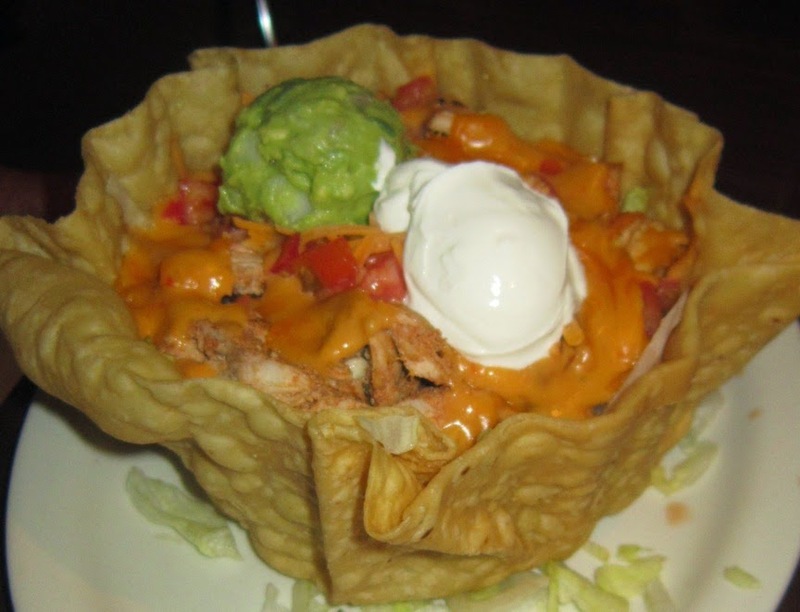 The flour taco shell was filled to the brim with shredded lettuce, tomato, jack cheese, chicken, queso sauce, guacamole and sour cream on top. It was a beast of a shell so you really had your work cut out to finish it up. He was very satisfied. Flautas! I wanted a little crunch for lunch so I decided to go for their version of the crisp little devils. I asked for beef but got chicken but it really was not a big deal. They were good! The beans and rice was even better! I should have known after that cup of soup! I could have just ordered sides of the beans and rice and been content.